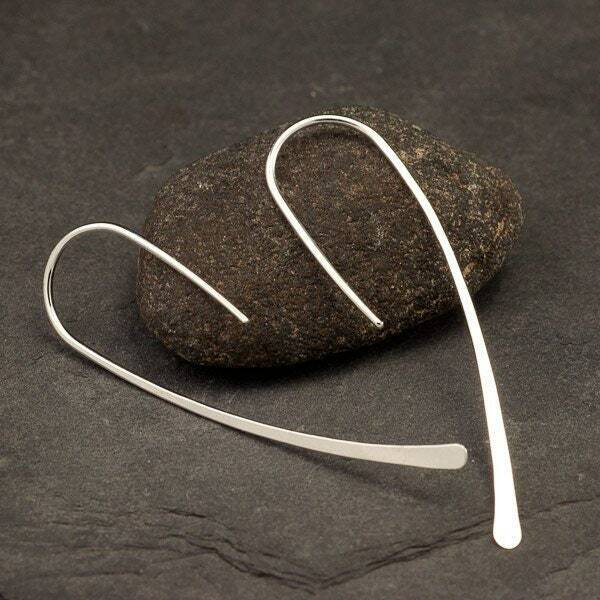 These modern earrings were hand forged into this simple curved shape & then hammered at the tip. 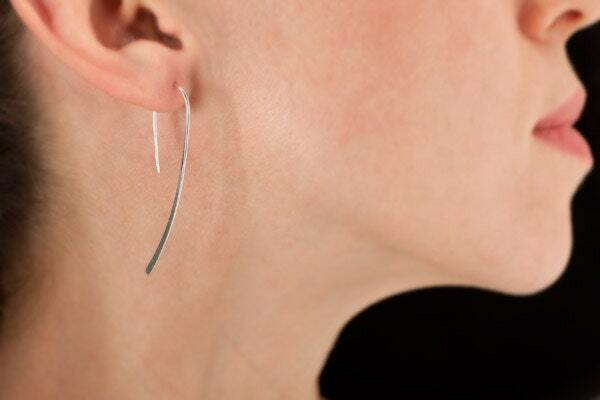 They hang approximately 2 inches long, and are made from 18 gauge(1mm) wire. 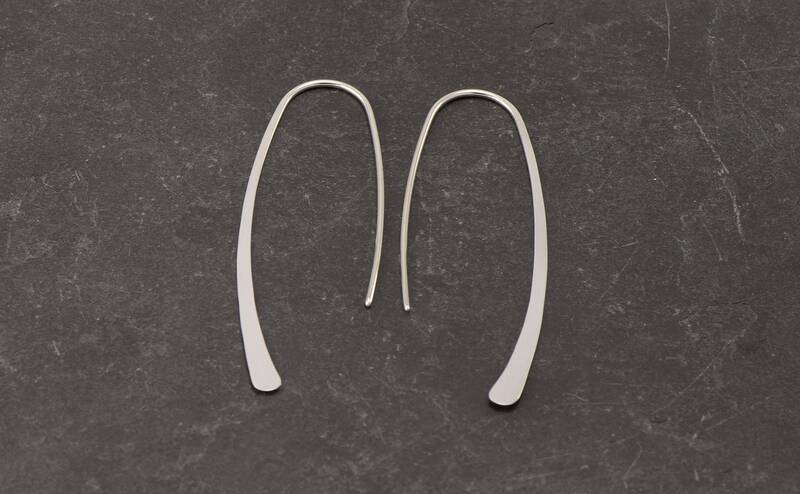 This is slightly thicker than regular earrings, but should be comfortable for anyone who wears earrings regularly. So light you'll forget you're wearing them! 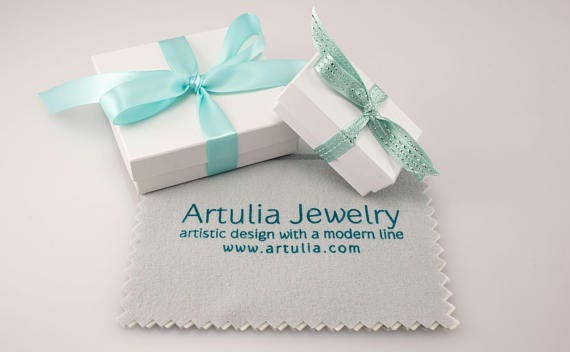 Perfect for everyday wear! 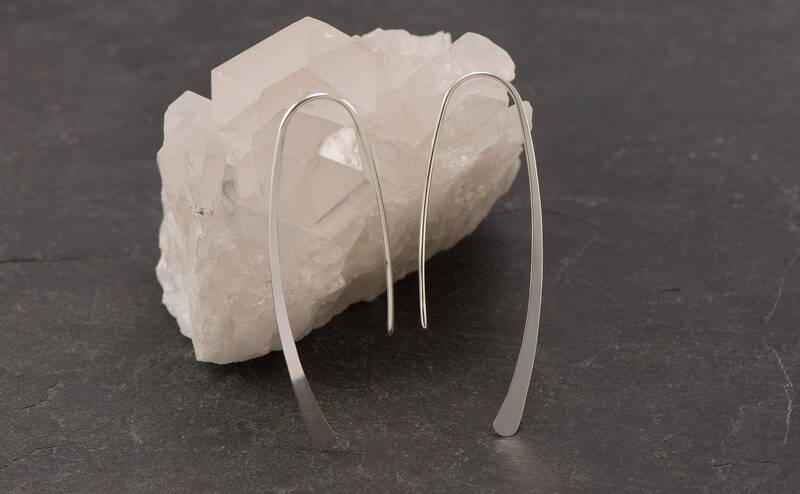 *Earrings are made of high quality Argentium sterling silver, so even people who have allergic reactions to the copper in standard sterling silver can comfortably wear these. If you prefer a thinner wire these are also available in 19 gauge. I absolutely love these earrings. Thank you! 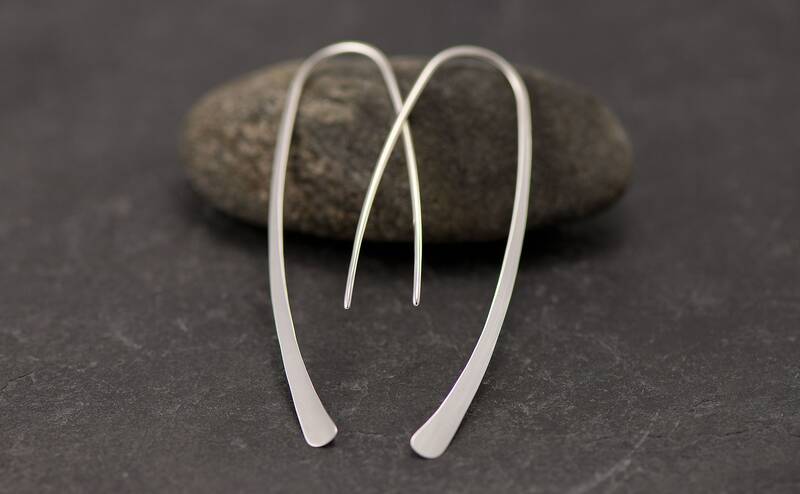 Elegant and simple earrings, would make a lovely gift but I purchased for myself. Have found they go with just about anything.